Lizzy Seeberg was a student who dared accuse a football player of sexual assault. She wound up committing suicide. 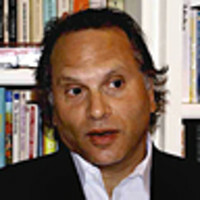 Buzz Bissinger on why he’s outraged by the university and police response. It is New Year’s Eve. I am lying on a red couch in the living room, mindlessly flicking the clicker. A college football bowl game appears to be on every channel, most of them little more than advertisements for the sponsors. I make one final sweep before falling asleep. The sound of the Sun Bowl between the University of Notre Dame and the University of Miami drifts through my ears. The announcers, Gary Danielson and Verne Lundquist, are seasoned professionals, their singsong sports muzak emanating from the surprising chill of El Paso. I am interested now. The smooth chatter begins to irritate me, and then infuriate me. It really matters to play at Notre Dame? Not after this season. In the land of the hypocrites that is college football, Notre Dame has become the most hypocritical, hiding like cowards behind the outdated mythology of Win One for the Gipper and The Four Horsemen of the Apocalypse and Rudy Rudy Rudy and their own holier-than-thou Catholicism. The blood of a 19-year-old girl spills like an oil slick over the football team and the school administration. They should still be thinking about what happened in the chill of the Sun Bowl. They should be thinking about what Tom and Mary Seeberg must have felt like when they received the news that their daughter, Elizabeth “Lizzy” Seeberg, a freshman at neighboring St. Mary’s College, had died. Not from natural causes. Not in a car accident. But by suicide 11 days after making an allegation of sexual assault against a university football player at the end of August. The school administration and the Notre Dame police department should be ashamed about an inexcusably sloppy investigation at best and a deliberate coverup at worst. But there is no shame when a football game is to be played, however meaningless, and this Sun Bowl is completely meaningless. There is still money is to be made. The accuser became the accused. There were the reports that she suffered from depression and anxiety and was on the medication Effexor (so am I, as well as three other ones). There were the reports that the day before she died, she told a counselor that she had had a panic attack earlier that evening and was having suicidal thoughts. From the point of view of the Notre Dame football team, that had to be something of a relief: She was an unbalanced cuckoo clock. As for the accused, who has not been publicly named, he continued to play. On New Year’s Day, the newly hired University of Pittsburgh football coach was fired within 24 hours of being released from jail on a charge of domestic assault even though he claimed innocence. At ESPN, announcer Ron Franklin was fired this week for sexist remarks made to a sideline reporter during a staff meeting. But the Fighting Irish march on, those golden helmets still blinding a football program deep in the muck. As impeccably reported by Stacy St. Clair and Todd Lighty of the Chicago Tribune, this was not a situation where Lizzy Seeberg had some delayed response to what allegedly happened. Almost immediately, she wrote out a statement and sought out help from the St. Mary’s program Belles Against Violence. She reported the alleged attack to authorities and consented to a DNA exam at a hospital. But a friend of the accused sent her an email: “Don’t do anything you would regret. Messing with notre dame football is a bad idea.” It’s conjecture, of course, but how could the words not scare her? The Sun Bowl natters on. Notre Dame is on a second-half roll. Running back Robert Hughes makes a nice gain, fumbles, but it goes out of bounds so Notre Dame retains the ball. Luck of the Fighting Irish, says Gary Danielson. It spins Notre Dame’s way. Calling what happened next an investigation into Seeberg’s allegation is a misnomer. Police did not interview the accused for two weeks. They went to his room on Sept. 9, the day before Lizzy killed herself, and he wasn’t there. They left a phone message. They tried again four days later and he wasn’t there. I am not a detective, but he would seem fairly easy to find, like on the practice field. He was finally interviewed—five days after Lizzy Seeberg had died. Prosecuting Attorney Michael Dvorak of St. Joseph County, in announcing on Dec. 16 that no criminal charges would be filed, said there were conflicting accounts among the witnesses. He also said that Lizzy Seeberg’s statements to investigators would in all likelihood be found inadmissible in court anyway because she was dead. They would be considered hearsay. Notre Dame has the game in hand in the fourth quarter, although one of its key players apparently has an injured ankle. Because the school, unlike others, does not give out injury reports, it is hard to know the full extent, as Verne Lundquist dutifully notes. Notre Dame chooses to keep it close to the vest. Tom and Mary Seeberg have the legacy of Notre Dame and St. Mary’s rushing through their blood: 13 members of the extended family have attended one of the two schools in the past century. They only spoke to the Tribune in December when their level of frustration could no longer be quelled. Tom Seeberg said he felt “betrayal,” but his quotes were gentle and honorable. He showed dignity. According to the Tribune, the Seebergs were given indications in December that Notre Dame would not allow the parents access to records that had anything to do with their daughter’s allegations. In a surreal Catch-22, the school said the Family Educational Rights and Privacy Act also made it impossible for them to give the Seebergs any information about the university’s own internal disciplinary proceeding. If Lizzy were alive, she would have been entitled to the information by requesting it; she can no longer do that because she is dead. The Seebergs’ lawyer, Zachary Fardon, wrote a letter to Notre Dame's president, the Rev. John Jenkins, and to the vice president for student affairs, Thomas Doyle, requesting that the investigation be made transparent. Doyle wrote back that he did not read the letter because it contained information about the case that, as the Tribune put it, “could interfere with his role in the school’s disciplinary process.” President Jenkins never read the letter, either, because Doyle refused to send it to him. Notre Dame wins the Sun Bowl over Miami 33 to 17. The game ends on a frightening note when Miami receiver Tommy Streeter, slipping on ice in the end zone, smacks into the stadium wall at full speed and crumples to the ground. A dozen Miami trainers and coaching staff and bowl officials immediately surround him. Everybody is worried, including Gary Danielson. He is carefully helped to his feet, the circle of the concerned still surrounding him. He gets the attention he is due. There will be no lapses or delays.